Because of the nature of panels, they work best for larger window and door spaces. 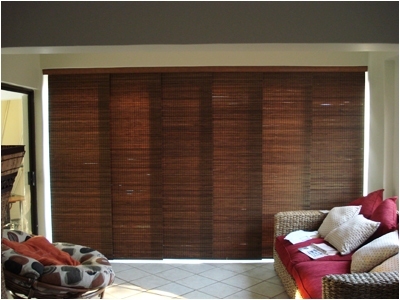 Environmentally sound bamboo blinds measure 22"-28" wide. The panels slip behind one another for storage and ease of opening. Because a section of the room will always be covered with one panel, bamboo window treatments work well in rooms that receive a ton of sun.